The GXL2400’s hyped, aggressive high-frequency peak (+7dB @ 12kHz) can be tamed by by swapping the stock K67-style capsule with the flatter-response, mid-forward RK-47. 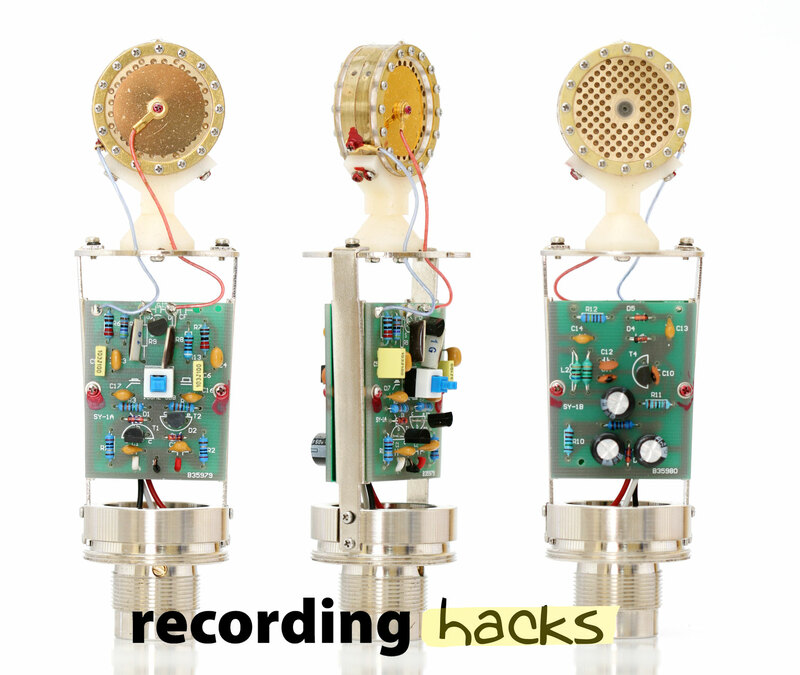 The mic’s circuit can be significantly upgraded and improved with Microphone-Parts’ DIY circuit mod kit. The kit includes all necessary components and detailed instructions, and results in higher sensitivity, lower noise, lower distortion, and wider frequency response. The CAD GXL2400 is a low-cost, large-diaphragm FET condenser microphone with a fixed cardioid pickup pattern. It was introduced in 2002 as part of CAD’s “Global Audio” product line. The mic’s circuit is identical to the GXL2200. Both are transformerless designs based on the familiar Schoeps circuit. Both have an internal pushbutton switch to enable a high-pass filter (-6dB/octave @ 100 Hz); the filter works by swapping the main pair of output caps for a pair of smaller-value capacitors. With the filter disabled, the circuit is linear over the audible spectrum, with relatively good distortion performance. 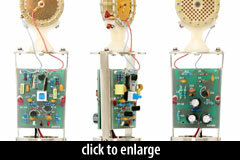 The capsule is a 32mm K67 type, common to many low-cost Chinese-made condensers. The rear diaphragm is not metallized. The mic’s self-noise level is variously reported as 16dBA (on cadmics.com) or 20dBA (in the 2008 catalog). Although the CAD website suggests (as of 2014-11) that the GXL2400 has a 10dB “attenuator” (pad switch), it does not. The mic has zero external switches, and only one internal switch (for the high-pass filter). The mic ships with an elastic shockmount and a soft pouch for storage.